Individual health insurance programs are designed for individuals and families who cannot obtain health insurance through an employer. Due to the continually rising cost of medical care, it has become more important to secure health insurance for you and your family. Hughes Insurance Agency offers a variety of health insurance programs to fit the needs of you or your business. Hughes Insurance offers health insurance plans with extensive coverage as well as high-deductible programs designed to protect against catastrophic financial losses. 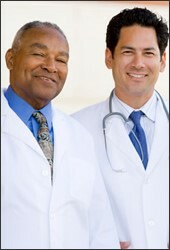 As an independent agency, Hughes Insurance can provide insurance plans from numerous health insurance companies. With the health insurance market changing frequently, we are always on the lookout for quality, service-oriented insurance companies for our clients. We can help you navigate the Affordable Care Act (Obamacare) process – from plan information to walking you through the application. We also have access to AccessCT.com and can help you navigate through the application process and make sure you are getting all the tax credits you deserve.